Drums Alive® is an all-inclusive program that provides a comprehensive approach for everyone. Unlock limitations and empower participants with the ‘ability’ to achieve healthy and happy lives through a “No Limitations” fitness/wellness approach. 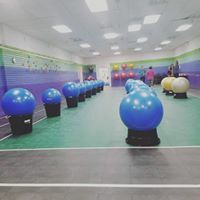 Foster creativity and blast through a brain and body workout that integrates kinesthetic awareness, neuro-muscular skills, cardiovascular conditioning, flexibility, strength and wellness activates. Accomodating individual psysiological, emotional and cognitive needs supports individual “ABILITIES” that lend to endless possibilities. Drums Alive Ability Beats motivates and captivates a student’s interest and most of all, IT IS FUN!! !